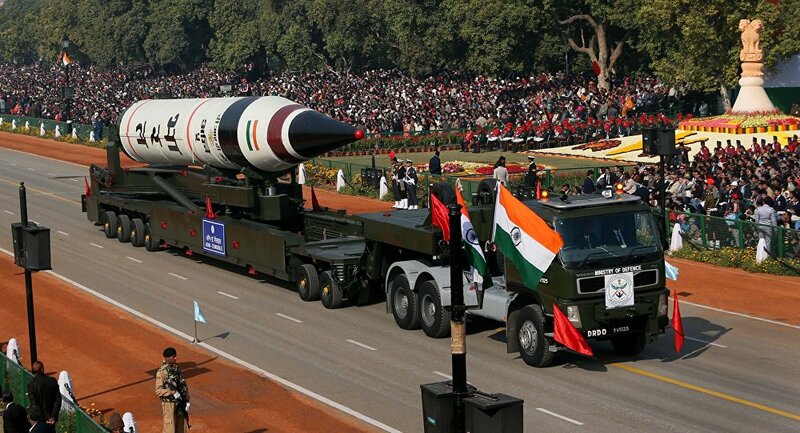 The Indian military is reportedly poised to adopt a new type of intercontinental ballistic missile capable of carrying nuclear warheads and striking targets located thousands of kilometers away. India is poised to gain a powerful new addition to its arsenal as the country’s military prepares to receive the new Agni V intercontinental ballistic missile, NDTV reports. The new missile can be fitted with a nuclear warhead and reportedly possesses a striking range of 5,000 kilometers, which vastly surpasses the capabilities of other ballistic missiles currently in use by the Indian military. "It is a strategic asset which will act as a deterrent," an official involved in the Agni 5 program told NDTV, adding that "the strategic project" was nearing a conclusion. The TV network’s sources said that the first batch of new ICBMs will arrive "soon" and be delivered to India’s Strategic Forces Command, though they declined to elaborate any further due to the sensitive nature of the project. Earlier in June, India carried out a successful test of the Agni V missile at the Integrated Test Range on Abdul Kalam Island.